Ah, yes. Isn't it great when you come across an outfit post that isn't a regurgitation of another? Mary Seng is the perfect example of a unique fashion blogger, always serving and creating looks that are inspiring and different. 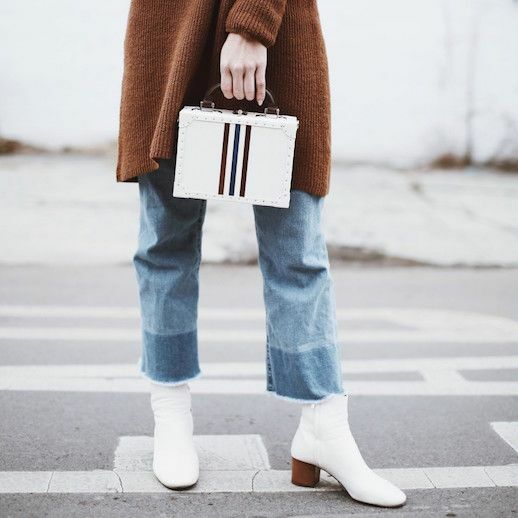 In this post, she wore a long brown coat, brown knitted sweater, cropped jeans and white heeled boots.